Companies don't hire people without first checking their references. You shouldn't work with someone without checking their references either. This is what some of my clients have said about my service. I just want to thank you for helping me find my first home. Also thanks for the support and care during my moving. Joe, It was wonderful working with you. And now that our possession date is getting close, we would love to be able to add a testimonial to your site so others can read about the kind of service you offer. Ray and I are still amazed at the price we got for our condo and we know we had an awesome Realtor working for us and with us. We'd like to let others know that also. Thank you for everything. It has been a truly wonderful experience working with you for the past year or so. You are a very patient man and you have often gone the extra mile just to make sure that we get the maximum satisfaction. You definitely do your homework and the results show in the good deals that we have made over the years for both our personal home and investment properties. You are more than just an agent, you are a good friend to Tony and I.
Joe took the time the day after I called to sit down with me and evaluate my needs; he was sending me listing shortly after. I appreciated the straight shooting honesty that Joe came to the table with. I found him very accommodating and I truly felt he was working in my best interest. Joe worked some magic to find me a place that I am very satisfied with in a quiet community. Joe, Thank you for your assistance in helping us sell our home on time. You provided us with exceptional customer service and your analysis of the market was insightful as well as accurate. We will recommend you to others and call upon you again when needed. Thanks again. Joe went out of his way as much as he could in helping us find our first home. It was hard at times with us living out of town and only being here a day or two at a time. We appreciate all the help and support provided which was 100%. Thank you Joe. Excellent communication, with professional knowledge! The best reward is when we say, if next time we need a realtor, this positive experience will influence us in our future considerations. Working with Joe to sell our home was an excellent experience. His knowledge of correctly pricing our home and the professional media presentation on his website resulted in the rapid sale. Painless and precise. As first-time home buyers, we were pretty much overwhelmed by the whole process. Joe walked us through everything step by step and made the whole experience very positive and smooth. He was always available at our convenience, there was no time of the day he wouldn't meet with us. Joe was very attentive to our needs, very patient and helped us choose the right house we are so pleased with now. His professionalism and knowledge of the market are very impressive and make him the best agent out there. We would recommend Joe to anyone, and we will definitely use his services in the future when we are ready to upgrade. Thank you, Joe, for all the hard work. Thank you Joe... Words mean nothing when you can say that you achieved your goal to buy your dream house. Knowing absolutely nothing about the market, real estate or other relevant things we decided to buy a house. Sounds a little bit scary, I know. After a few weeks, later faith gave us the chance to meet Joe. Starting from that moment everything made sense. We got a service based on professionalism, punctuality, knowledge and honest opinion, therefore here we are moving into our first home. Thank you, Joe, and hope everybody will have the luck to have you as their real estate agent. Your site really helped the process to find our home. We were really happy with your website - which was only to be outdone by your personal service. From showing houses on our inflexible schedule, making sure all the transactions and paperwork were in order, to helpful emails such as setting up services your service was fantastic. We are extremely happy we found you to be our Realtor and will definitely refer anyone we know to you. "Working with Joe was a real pleasure. Trying to find a home while resident in Halifax was a great challenge and stress for us. Joe called us in Halifax and listened to our needs and offered an extensive list of homes to view. When we arrived in Calgary for our house hunting visit, we worked him very hard, 23 viewings in one day, very long day! Joe was patient, well informed and supportive partner throughout the negotiations. He helped us find a lawyer and someone to review the condominium reports. Given we could not be in Calgary for closing, Joe videoed a final inspection for us, But the service did not end with the sale! Joe supplied referrals for painters and carpet cleaners, and picked up our keys as we could not be there for closing"
Joe was very patient, especially considering we didn’t seem to always know what we wanted. He was great, always available to meet with us or to answer our question. He kept on top of everything and was very easy to work with. We would not hesitate to refer Joe to anyone, and we will definitely use his services again when the time to purchase/sell another house would come. "...In this industry, it is hard to find someone who exactly knows what our minimum expectation is and you succeeded to reflect our overall imagination in true. Joe, Thank you for your outstanding efforts and sharing the quality time with us." Thank You for going above and beyond. Your help has meant so much. 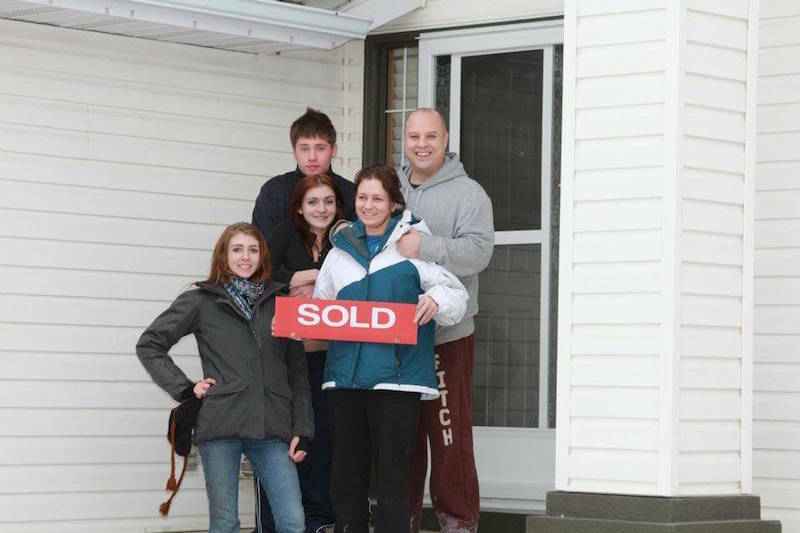 For us, as newcomers here in Canada, buying our first home with your guidance was very easy. We were impressed your professionalism, attention to our needs, tact and courtesy. We would recommend your service to anybody, no doubt. Thank you very much! Whether you're a buyer or a seller, Joe gives you 100% service and professionalism every time. Joe doesn't deal in fairy tales or pipe dreams - he gives you the straight facts based on his detailed analysis and market reality. We had a great opportunity to work with Joe as our real estate agent.He was very helpful, always available to meet with us, answer our questions and he found the best house for us. His professional skill and practice was very impressive. We would not hesitate to refer Joe to anyone and definitely would use his service again.Thank you Joe!! Kata N. & Zoltan H.
3 years ago I and my Husband first met Joe and used his services for the purchase of our first home, a condo in SE Calgary. He was very honest with us and guided us through the purchase and what to expect- since we had never bought anything before and had no idea what we were doing. He left us with such a positive experience with purchasing our condo, that this year we had him list our condo for sale and help us find a new bigger home. Our condo went on the market in the new year and we had a signed offer to purchase a few days following! At the same time, we found the home we wanted to purchase and we put an offer in for our new home with Joes guiding us - we were able to get well below list price and got a great deal on the new house! Unfortunately, our condo sale fell through with a financing clause and Joe handled it very professionally and went back to previous clients who viewed it - and got us another offer in a matter of days. This deal went through and clauses from the buyer were lifted. I have already recommended him to my sister who was looking to sell a rental property she had - and of course, it's been sold for her as well. I would highly recommend using Joe for buying and selling any home you were looking at - you won't regret it & we'll certainly be using him for any upcoming listings in our future! Thanks again for everything Joe - you helped us purchase our first home / sell it 3 years later & find our next property. We couldn't be happier with your services! The thought of selling our house was quite scary for us! When I found Joe's website online it was so easy to navigate and had so much information. After talking to him and discussing our goals, he laid everything out for us with an easy to understand the plan and well-researched statistics. He was very professional but also very down to earth as well. He took time to answer all of our questions no matter how trivial they seemed. The whole process went so smoothly, Joe took care of everything. We have no complaints. I would recommend him to anyone. As an investor, I've worked with many realtors and I have to say Joe's been the best! Professional, hard-working, always goes the extra mile, very understanding one's needs and never stops until you find exactly what you are looking for. Joe, I am writing to thank you for the incredible service you provided in covering my real estate needs in the last two years. Your dedication to customer service is outstanding and the results you obtain are remarkable. Click here for full letter. We both are very thankful to Joe for providing us with his excellent and professional service. In our selling and buying process, he always was there for us with quick response and selfless helping. We definitely would like to work with him in the future regarding our real-estate needs. Joe was the most knowledgeable and considerate of our needs and was a great help in supplying us with all the information we needed in making the decision to buy! Thank you for your hard work, dedication and guidance through the negotiations. We are pleased to recommend Joe without hesitation. This was the first house that we had to sell. At the beginning, we went with another realtor and he was not able to find a right buyer for us in more than 2 months. As a result, we had no choice but try something else. Luckily we found Joe and he was exactly the realtor we needed. Two weeks later we had one offer and shortly after another one, which we happily accepted. If there is a potential buyer, be assured Joe will find him. Thanks, Joe. Joe was Great and our experience with him was awesome. He is very knowledgeable and definitely recommend him for all your Real Estate needs. With the house, we finally bought we are very satisfied. You are very professional, patience, knowledgeable and hard working person. You worked with us step by step without tiring to fulfill our needs. You found a solution for us when we felt hopeless and helped us to see things in a different way. You also provided us with a full service by giving us a lawyer, house inspector and mortgage broker addresses to finish the buying process. We are very touched by your quick response regarding issues that concerned us. We believe your good and generous communications that you had with others professional people helped us to move things smoothly. Thank you very much, Joe! It was a great experience working with Joe. We are grateful to him because we had a very tight schedule, and Joe spent the whole day with us. We managed to finalize our deal on that very day. Congratulations, you have the very best web page I had ever entered. So easy to follow and find exactly what you are looking for. It's about time someone got the job done. I was very satisfied with the effort Joe put into my file and how quickly he responded to any of my concerns as we went through the process. He was a good advocate for me in this transaction and I would use him again or recommend him to anyone that I knew was looking to buy or sell a property. Doing business with Joe was effortless. He was professional and organized, as well as patient. I like his style-offered advice, but was not imposing. He has the right head for real estate and above all can be trusted. Thanks, Joe! It was a pleasure working with Joe. He is a very sincere, honest and hard-working person. He answered any questions we had and kept in touch with us all the time. We would like to thank you, Joe, for taking care of all our needs. We will definitely recommend you to our family and friends and hope that we can work together again in the future. Joe, it felt so secure and fun to have you around during the entire process. You made searching for our first home an enjoyable experience. Your knowledge and expertise impressed us so much and we learned a lot from you. You were so sensitive to our needs and never rushed us to decide. We were very lucky to have you as a realtor and will choose you again, for the same beautiful qualities that differs you from the others. Thank you, Joe for everything! Both my wife Cheryl and I found Joe Samson to be an excellent choice for a real estate agent. We both had negative experiences in the past with other realtors who were pushy, didn’t have listening skills or were not concerned about our actual wants and needs. Joe proved to be a refreshing exception to our expectations. He was friendly, courteous, patient, responsive, trustworthy, and above all professional in every aspect of our home purchase transaction. We would certainly recommend his services to anyone in the market to buy or sell a property. Thank you very much for your support with the recent purchase of our condo. We truly appreciate your professionalism and knowledge of the market and taking care of our best interests as we worked on our plan to purchase. We are extremely pleased with the results and we hope to work with you and any of our future real estate needs. Among quite a few realtors that we have used, Joe is second to none! Everything went smoothly well from start to finish. He did go an extra mile to help- We are living in Fort McMurray, and could not make it down to Calgary for the home inspection, Joe made himself available to represent us! It is truly a service with a difference. We will recommend Joe to friends and relatives! Joe did a great job representing us in the purchase of a condominium. He helped us navigate the buying process and responded to all our needs quickly and efficiently. Thanks Joe! Xiuming and I would like to thank you for the excellent job you did for us. Your professionalism and attention to details were key to the sale and we appreciate your input through the whole process. I started my search for a new home online and visited numerous websites in the process. That’s how I found Joe. His website was the best of the lot - all the links actually worked! When I met him in person, his patient and determined efforts to understand my image of a ‘dream home’ were very reassuring. From that meeting on, Joe continued to be extremely helpful and responsive. I could count on him to answer emails and phone calls quickly and to make himself available for showings as needed. 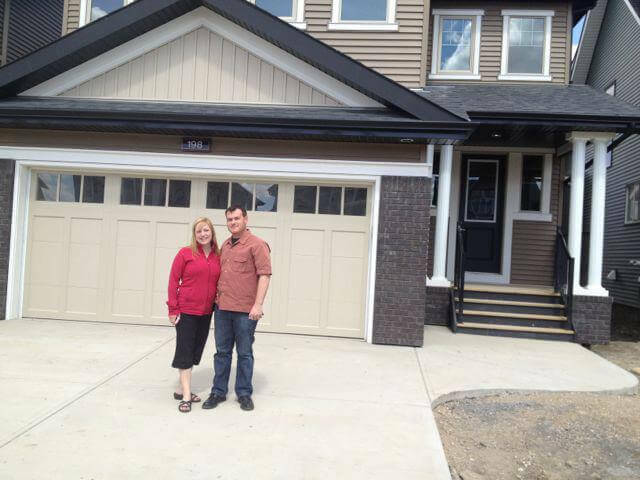 He led this ‘newbie’ house buyer through the whole process while taking the time to explain each step of the way. I trust his advice, and will most definitely recommend him to any of my contacts who are looking for a realtor. 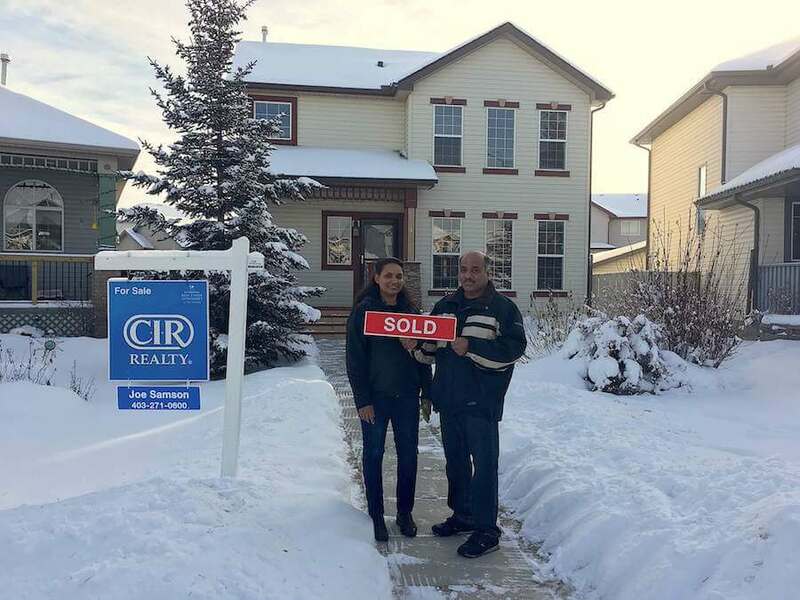 I would like to thank Joe for his great work, it was my first time to buy a home in Canada and I was not familiar with the procedures and conditions. Joe treats me like a friend, not a customer; he was very honest with me about the offered homes and always gave me a very helpful advice, thank you, Joe. 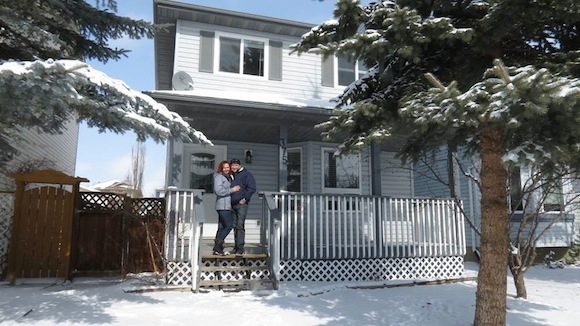 Being a first time home buyer, having Joe in my corner was a huge asset! For starters, Joe was very patient with me and my seemingly never-ending questions...Arranging times for walk-throughs and showings was never an issue as Joe always made himself available. As we would walk through potential homes Joe would point out areas needing attention, deficiencies, missing items, etc. - things which would have never crossed my mind. To me this was invaluable! Everything throughout the home buying process was very professional, incredibly smooth and explained to me in great detail. I can't say it enough, thank you, Joe, for all your hard work! We found John with Joe Samson & Associates to be extremely helpful and willing to meet with us when we needed, Coming from out of town each time to look for a house, John made himself available and toured us from one end of the city to the other with no complaints. Very satisfied with the service we received. We found Joe a pleasure to work with. His professionalism, knowledge and organizational skills were the first rate. Joe provided great insight in our home buying experience and provided superior and key advice during this process. We would definitely recommend Joe and his staff to our friends. Thank you!!! Michael (Joe Samson & Associate team member) was very helpful and was always available to answer questions and provide advice. He handled all the little details so I didn't have many worries. I was very happy and would recommend my friends and family to use your services. Hi Joe, A few months ago I had registered on your website and immediately was contacted by Sharon (Joe Samson Assoc.). She has yet to disappoint me. 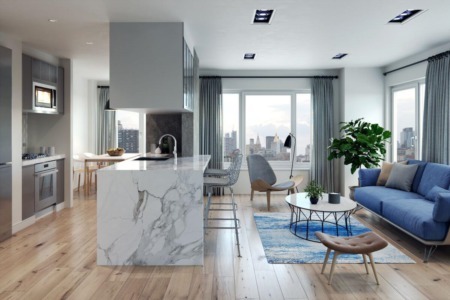 She helped me 'hunt' for my new condo, sending me any via email that she thought I would like, and together we found a condo that I feel comfortable in calling a home. This is my first time buying a home and she has made the process effortless on my part. She has taken care if every little detail, explaining everything in terms I can understand. She is punctual, personable, knowledgeable, extremely friendly, and always gets back to me right away. I just thought I would let you know how much I appreciate her being my agent. 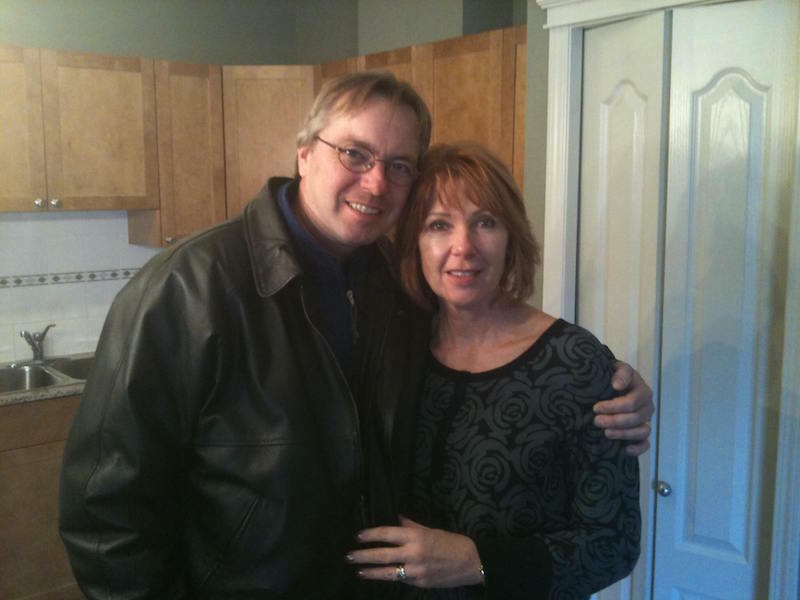 Joe has been very patient with us in finding our new home and we never felt pressured or rushed. He is always very prompt and available whenever we needed him, even last minute requests! Thanks Joe for all your help! Sharon and Joe (Joe Samson & Associate team members) were very helpful and always available to answer questions and provide advice. Sharon and Joe handled all the little details so we didn't have worries. We were very happy and would recommend our friends to use your services. For anybody out there doing a real estate deal, I recommend Joe Samson. He did an excellent job in selling a house for me. I found Joe to be very conscientious and patient. He answered all my questions and was very forthcoming when I needed to talk. It was my pleasure to have Joe as my realtor and I will be using him for my future sales and purchases. Thanks again Joe. We sold a house with Joe in August 2013 with Joe, I had no idea what the house was worth and had spent hours trying to assess this myself...I don't recommend this. 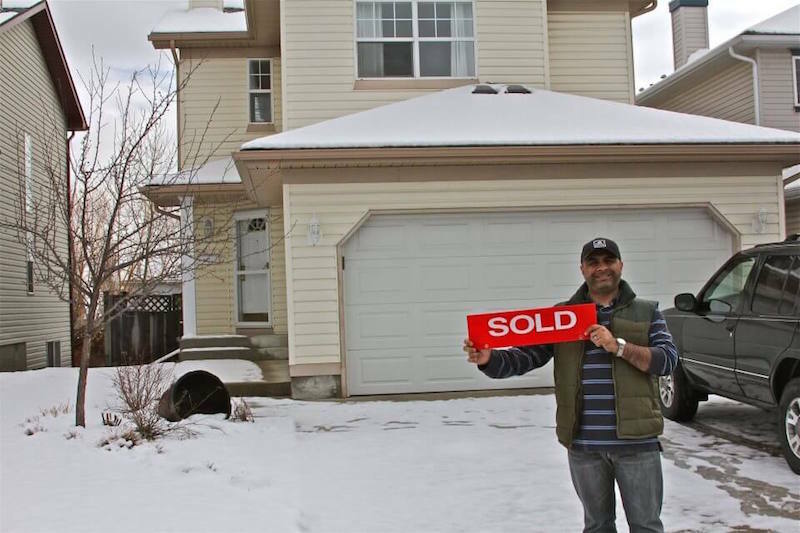 Joe gave us a very accurate assessment, and due to his expertise of the housing market in Calgary got us ABOVE the list price. Don't waste your time doing it yourself-hire a professional and I recommend Joe. Thanks Joe. Sharon has been fabulous and a tremendous help up to this point. She has a brilliant service philosophy and I really appreciate that she has been so readily available to answer any of the questions that we have had. We (my husband and I) are first-time homebuyers and we have really appreciated the level of detail that she has provided when responding to questions and concerns of ours. I also want to mention that the Joe Samson website is extremely user-friendly and was the reason why I decided to contact and request that you or one of your agents be assigned to us. The first impression was a great one and was followed through with remarkable service and follow up on your and Sharon's part. I thank-you for making this experience such a special one and bringing us Sharon as our agent. I wouldn't have wanted anyone else to help us with finding our first home! I found Joe Samson wonderful to work with! In this market, where homes are selling so quickly, you have to have a Realtor who is responsive and knowledgeable. Joe is that and more. I never felt rushed, or pressured, and Joe was great at giving valuable insight when looking at potential properties. I would highly recommend him to anyone looking to purchase a home. So thankful we found Joe to guide us through the "agony and ecstasy" of our condo sale! His market assessment was so well prepared and accurate, and his professionalism, expertise and integrity gave us great confidence in working with him. We'd have absolutely no hesitation in recommending Joe's services to anyone considering him as their real estate agent. Thank you, Joe, from Tom and I. It was a pleasure working together with you. We had the opportunity to work with Joe Samson on a real estate transaction, which involved the purchase of a residential property in downtown Calgary. Joe demonstrated exceptional professionalism from the very beginning of the transaction, within which he consistently went above and beyond to facilitate a smooth purchase. Various challenges were presented along the way, which required creative problem solving and skillful negotiation, which Joe navigated with great precision. From beginning to purchase consummation, it became clear that Joe would only act with integrity and honesty and we always felt that he had his client’s (our) best interests at heart. We never felt pushed into a specific action and we were always provided alternatives which were often not in his best interest – but ours. Fantastic service-oriented individual, whom we would strongly recommend to others seeking to transact property. 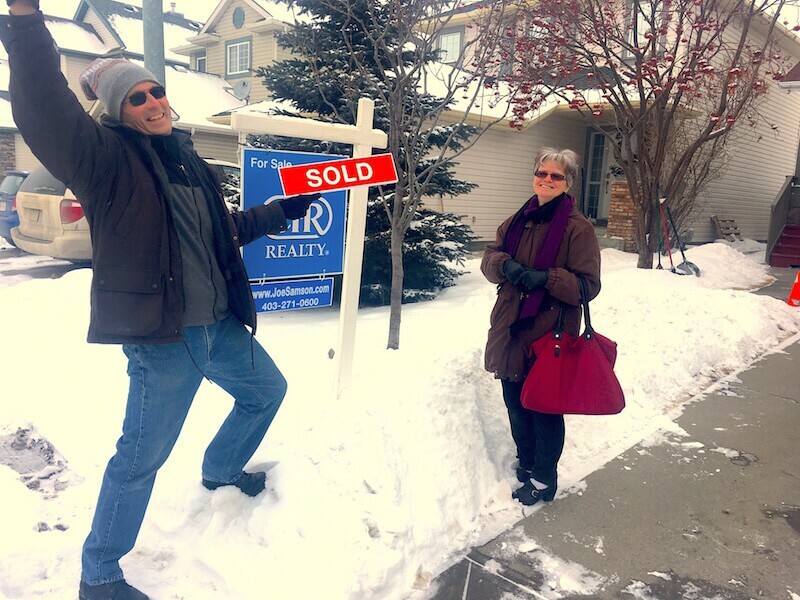 We are very happy we chose Joe to sell our condo in Calgary. We found him online and going by the reviews we read decided to use Joe as our realtor. We live in BC and still haven't met Joe, but we plan to treat him to dinner when we visit Calgary in May. We have been very happy with his dedication, commitment and in keeping us informed during the whole process. I hope this review will encourage others to also use Joe - you won't be disappointed! Thanks Joe! Joe, I am writing to thank you for the incredible service you provided in covering my real estate needs in the last two years. Your dedication to customer service is outstanding and the results you obtain are remarkable. Looking back to the period when I was purchasing a home in Calgary, you made my journey effortless. You captured my needs and desires for a home on our first meeting and from there you relentlessly searched for the home that met those qualifications. I remember coming home after working 14 to 16 hour days and being able to review homes that you matched to my needs through e-mail. During that period, the housing market was absolutely insane where the newspapers were reporting houses selling for as much as $450 thousand above the asking price. I recall making bids of $15 to $30 thousand over the asking price, myself, and finding out that I missed by $20 thousand. Crazy times!! The home that I purchased ended up being an amazing story as well. Twenty minutes from the time it was listed you had an appointment to view the home that morning. I recall writing two offers, one for the asking price and one for considerably more. Your incredible perseverance and negotiating skills convinced the seller and his realtor to sell to me, the first bidder, at the asking price saving me a lot of money; an incredible achievement in that market. One year later I found myself in the position where I needed to sell my home to relocate. Naturally, after my experience purchasing, you were my choice as the realtor to sell my home. Again, your professionalism was simply outstanding. Your advice on pricing was dead on for creating a steady flow of potential buyers and the pointers on preparing the home for greatest appeal to potential buyers were also helpful. In less than 2 months of listing, you were able to sell for near the asking price making my return on investment quite substantial. I can't think of another investment that could have brought that much gain in that short of time. Joe, I've been meaning to write this letter for a long time. Looking back, and from my experiences since, I can't recall ever experiencing the services and dedication that you provided to make this customer experience sensational.